Digitally recreating contours in Surfer from hand drawn contour maps digitized in Didger is a powerful process to optimally visualize, present and evaluate your data. Contours were digitized in Didger, exported to a data file, and gridded in Surfer. 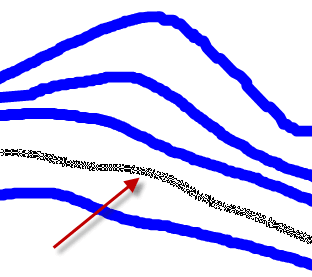 When a contour map is created from the grid file, the contours are not smooth. Unwanted artifacts, or squiggly lines, are visible in many places on the map. 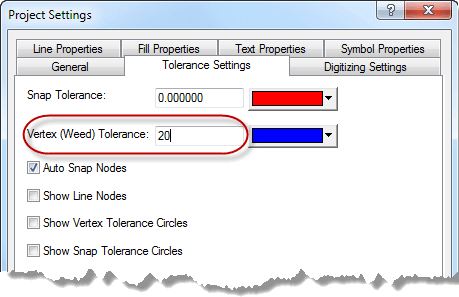 On the Tolerance Settings page of the Project Settings dialog, enter the average distance between contour lines as the Vertex (Weed) Tolerance value. All the hand drawn contour lines on this image were digitized as green polylines, with a vertex tolerance of 20. Click Home | New Map | Contour Map, select the grid file and click Open. Overlay the original contours (in black) with the new contours (in blue) created from gridding the digitized points. 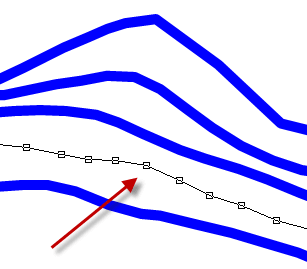 This new contour map was created by digitizing the contours and thinning them prior to export (method 2 above). 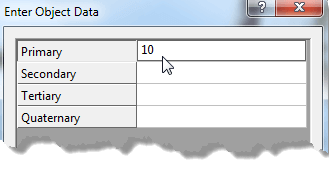 Once you have a grid file of the data, you can use it to create other map types, such as 3D surface maps, or perform other grid calculations, such as finding the volume and area.